Developing conditions in an online classroom that are conducive to learning is challenging enough for instructors but then add to that the need to help students stay motivated and interested in the class, and their work is becomes even more time consuming and difficult to manage. There is a belief among some educators that it is not possible to help students that you cannot see, especially with a quality such as motivation that cannot be visually assessed in a virtual environment. But a student's level of motivation will influence all aspects of their involvement, from their engagement in the class to their participation in class discussions and completion of learning activities such as written assignments. With the many demands made of an online instructor it is possible that classroom management can become the primary focus and that consists of tasks such as participation, feedback, acquiring class materials, and developing class lectures or posts. It can then become fairly easy to miss a student who is gradually disengaging from class until it is too late. This includes knowing when a student is lacking a sense of self-motivation or does not know how to sustain it when they are feeling discouraged, frustrated, or challenged. While students are expected to be self-directed by nature as adults it doesn't mean they are equipped to meet the many demands of a student and that is why an instructor must be prepared to identify their needs and have motivational strategies to assist them. Are There Indicators For An Instructor? It is possible for an instructor to gauge the level of involvement of their students in a class by the number of times they have posted responses in the discussion threads and the perceived amount of effort that is put into their written assignments. But that doesn't necessarily mean it is possible to accurately gauge how motivated the students are when an attempt of some kind is being made to complete their work. The reason why is that motivation is an internalized state and challenges are acknowledged through statements such as "I'm not certain I can do this" or "this is too hard" or "this isn't what I expected I would have to do" - anything that will result in a student deciding to give up, quit, or eventually withdraw from the class or their degree program. An instructor will know that this is happening if they have developed open communication with their students and as a result they are willing to share their frustrations and concerns. Do Students Intentionally Become De-Motivated? When students are struggling in their class it can be easy to first assume that they are not trying hard enough, they aren't utilizing the feedback provided, they haven't read the assigned materials, or any other number of possible reasons - without being able to pinpoint exactly what they are experiencing. At the beginning of class most students have the highest level of enthusiasm and a sense of hope about a new start, even if there is some anxiety or apprehension mixed in. It is when they attempt to participate in the class that determines how long that excitement is sustained and there are many factors that can have a negative impact, including a lack of academic skills, feedback they do not accept or understand, a subject that is too difficult to comprehend or does not seem relevant to their lives, or receiving a grade they do not believe they should have earned. This causes an eventual decline in performance and one that may not be intentional or even consciously recognized until an instructor addresses it. Instructors may not always know with certainty why students are struggling but at the heart of most issues is a willingness to keep trying and work on continued self-development, even when it requires them to acquire new knowledge or skills. What instructors can do is to develop a set of proactive instructional strategies that are encouraging in nature and supportive of students' attempts and progress. The following five strategies have been implemented in my own teaching practice and what I have helped to coach online faculty with through my work with faculty development. #1. Build Productive Relationships. While this should go without saying for any class, whether it is a traditional or online class, relationships with students always matters. It can have a direct impact on their ability to feel comfortable asking for assistance when needed and that can alert the instructor to potential problems. But developing this type of relationship in a virtual environment isn't easy and a class that lasts only a few weeks can make it even more difficult. How a relationship begins is with the attitude an instructor holds and it continues with an ongoing intent to be helpful and approachable. Students must know that their instructors care about them. #2. Carefully Manage Your Communication. All forms of communication that instructors have with their students matter and must be cultivated with care that the intent of message is clearly made and the tone is not likely to be perceived in a negative manner. When responding to a student, whether by email or a post in the classroom, it should not be done hastily or when an emotional reaction is felt. The reason why this is so important is that a negative interaction can be de-motivating to a student and a series of these types of interactions can cause a student to disengage from the class. #3. Be Present, Available, and Accessible. If students are to stay engaged in the class and perform to the very best of their abilities they need to know that their instructor is readily available to assist them whenever they need help. This doesn't mean that an instructor has to be on call at all times or answer questions as soon as they are posted; however, there needs to be an established pattern that students can rely upon. I've found it helpful to have multiple methods of contact that includes email, instant messaging, weekly office hours, sharing my phone number for times when students need immediate assistance, and posting a questions thread in the classroom. This allows me to develop connections with students and it can be very motivating for them to know I am accessible. #4. Help Make Certain that Students are Adequately Prepared. I've found that academic under-preparedness can be extremely detrimental to the mindset that new students hold as they attempt to navigate the course and the requirements they are expected to complete. Even as established students make progress through their degree program they may still struggle with areas of development that can create a mental barrier and ultimately lead to a sense of defeat if they do not receive assistance. What I've done is to share resources that address students' specific developmental needs in the feedback provided and if I find sources that may benefit the entire class I'll share it in a separate classroom post. I've found that the more students feel equipped to complete their tasks, the more confident they will be as they make an attempt to do so. #5. Develop and Use Proactive Outreach Strategies. It is imperative that an instructor always be aware of the classroom conditions and more importantly that they are aware of students who are not actively involved and present in class. It may be helpful to establish a mental baseline for expected performance and over time an experienced instructor develops an instinct for student engagement. A discussion thread is one way to gauge if students are disengaging from the class. When I discover a student who isn't posting messages or they are continuing to struggle with their written assignments, I'll make outreach attempts. First I'll send an email and try to engage them and if that isn't successful I'll make a phone call so that the student doesn't completely disengage from class. I've learned that a personalized approach will go a long ways towards helping students sustain their self-motivation. Most research about motivation points to the sources of motivation, both internal and external. This means that students may be motivated by a sense of accomplishment (internalized) or a grade (externalized). With a limited amount of time available to get to know students, instructors may never know exactly what the source of motivation is for every student or be able to develop techniques to meet their individual needs - especially when classroom management and instructional duties require a significant investment of time. What instructors can do is to address self-motivation as a driving factor for the engagement of all students in a class and use the strategies provided to help students feel empowered to succeed rather than become easily discouraged and willing to give up. When instructors bridge the distance gap and connect with their students they will notice the results in the effort made and the performance level maintained throughout the class, which is directly related to their sustained self-motivation. 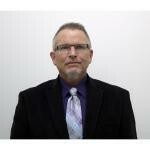 Dr. Bruce A. Johnson is an innovative educator with experience in higher education as an online instructor and college professor, along with work as a corporate trainer and manager of a corporate training development. Dr. J has developed expertise in his career with adult education, distance learning, online teaching, faculty development, and organizational learning.